Different e-mail providers, including Hushmail and Fast Mail, have become the target of extortionists that heavy DDoS attacks against the email services. So users could not some time in their email. Earlier it was announced that ProtonMail was extorted. This e-mail provider decided the amount that the extortionists were demanding to be paid, but the attacks continued, however.Also Fastmail was threatened by extortionists, but this e-mail service refused to pay, according to the company in a blog posting know. The attacks that followed meant that users could not log on for several days, according to the status page.Meanwhile, the service is accessible again and would since November 9, no new attacks have been more to endure. Another provider that faced the extortionists is Hushmail, which offers like ProtonMail encrypted e-mail service. Hushmail also refused to pay and was from November 5 with DDoS attacks harassed, allowing customers several days at their e-mail could. Yesterday was another DDoS attack rather than allowing Hushmail was unreachable for some time, let the status page to see. E-mail provider Runbox also got to do with the attack, which lasted several days. Again, the extortionists demanded money again and it was decided not to pay. Last Saturday stopped the attacks, the attackers even made ​​their apologies, as the company said on the website. At the same time it was also e-mail provider VFEmail under fire. The company refused to pay, but the owner it was considering to stop the mail service, so he lets on Facebook know. 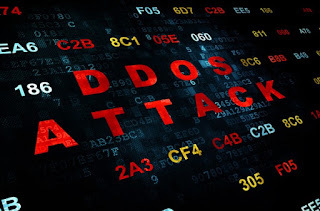 VFEmail however is still active and is a temporary solution, a new IP address implemented anti-DDoS proxy to stop the attacks.